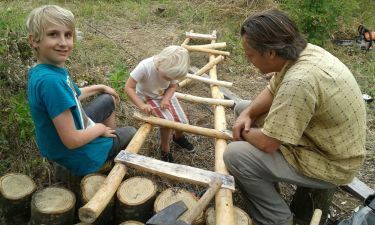 Design a natural playground - contest. Summer 2011 we will construct it! 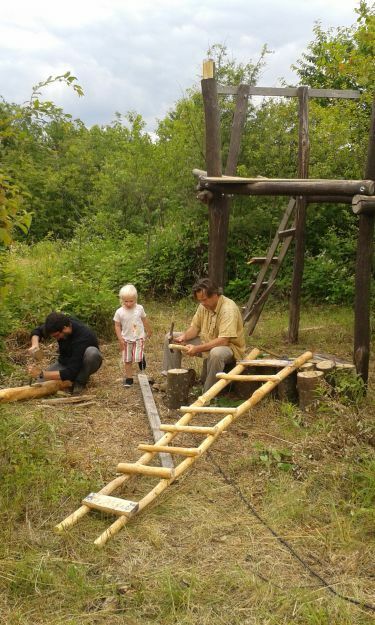 We started with making a playhouse: acacia poles dug deep in the ground, a first floor on 2 meters and a pointy roof. 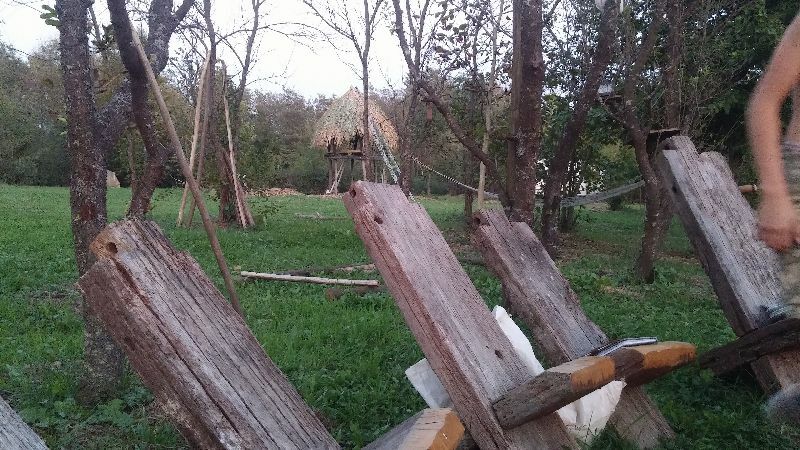 The roof is thatched with reed from our little piece of land at the Radonja river. We have some big (1,5 meter wide) sewer pipes to climb through and we will dig them in the ground and make a (hobbit-) hill. 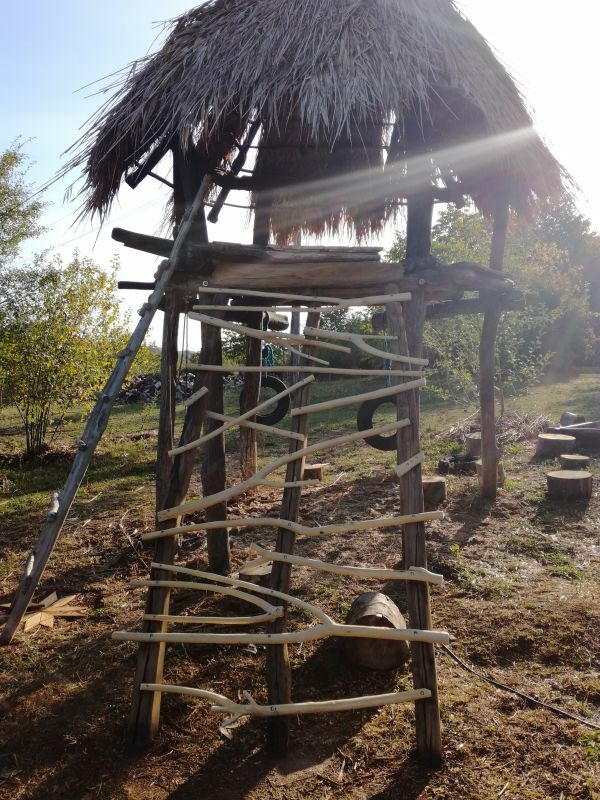 We will construct the playground with natural materials like wood, rope, sand, clay, water and plants so we can easily fix it when something is broken, and you can enjoy the fun of nature. Follow our playground-inspiration board on Pinterest.